He will expose her masquerade, but she will expose his heart. To escape an arranged marriage, spirited Lily Bainbridge has staged her own death, and, disguised as a boy, she fled to London and a life of freedom. Yet her plans to live masquerade as an independent widow are thwarted by an encounter with a powerful and dangerously attractive marquis who wants to make her his mistress. Lily is afraid that if she gives him her innocence, he'll steal her heart. Having agreed to a marriage of convenience to honor his family duty, Ethan Andarton, the Marquis of Vessey, has no intention of abandoning his rakish ways. Then fate intervenes in the guise of an impetuous young lady -- a woman bold enough to scheme her way to London, who tempts him with her mystery and her sensuality. Kiss after kiss, caress after tender caress, Ethan vows to discover all of Lily's hidden secrets. For beneath the layers of her clever ruse lies a burning passion that will ignite a tempestuous love neither of them can deny. Lily Bainbridge, is desperate to escape a arranged marriage. So she fakes her death, to escape her step father and his schemes, and dresses as a boy until she gets to London. On her way, she meets Ethan, the Marquis of Vessey, a man who tempts her in a way she has never been tempted before. But she manages to resist him until she gets to London. Then she receives her inheritance, and poses as a widow, to escape detection from her past. But then she comes across Ethan once again, and soon she can’t resist his charm or rakish ways, and gives into temptation, to be his lover. At first she is afraid that he will break her heart, but she can’t seem to stop being with him…he makes her feel passion and desire, and she feels more alive than ever. The Accidental Mistress is the second book in the trilogy, and what a sweet story this one is. Not my favorite by the author, but still quite enjoyable. 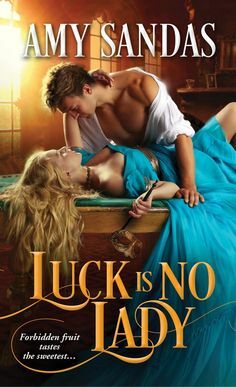 I really loved seeing this couple together, and its the type of story that you can just enjoy on a calm day, and I loved the style of this author once again….she has astounded me with her writing. I just can’t seem to resist her books…each and every one is charming and this story was beyond delectable. I had fun with Ethan….such a bad boy he is….but sweet and tender too. He may be a rake of the highest order, but he also is soft as a marshmallow when it comes to Lily. A story to impress and delight you…and keep you coming back for more!! UTTERLY CHARMING! !